I have new Muslim friend named Mejmet(Left side on the picture) He is friend of my friend Juska. I invite them couple day’s ago to be guest’s at my home and they come yesterday. We talk a lot about the Bible. Mejmet is 19 years old and very hard worker. He have son 4 years old. He married at 15 years. I spend time with them almost every day. Please keep me in your prayers and please pray for Juska and my new friend Mejmet that God will open their hearts for the truth. People are appreciated me at the Strumica Muslim area. I have also Muslim people who are against me because I spread the Gospel in their area. Please pray for God’s protection. Last week I meet boy in village Vasilevo. That is place where I’m going 1-2 times a week. The name of the boy is Ferdi. He is Muslim but he have bracelet on his right hand with symbol cross. I spent time with him and talk about Jesus and he is very open.I ask him about the bracelet and he told me that the bracelet is a gift from one his friend and that he liked the bracelet very much. In my life that is first Muslim man that I have seen to carries symbol cross on his hand. I don’t have picture from Ferdi but soon when I will make I will send you. 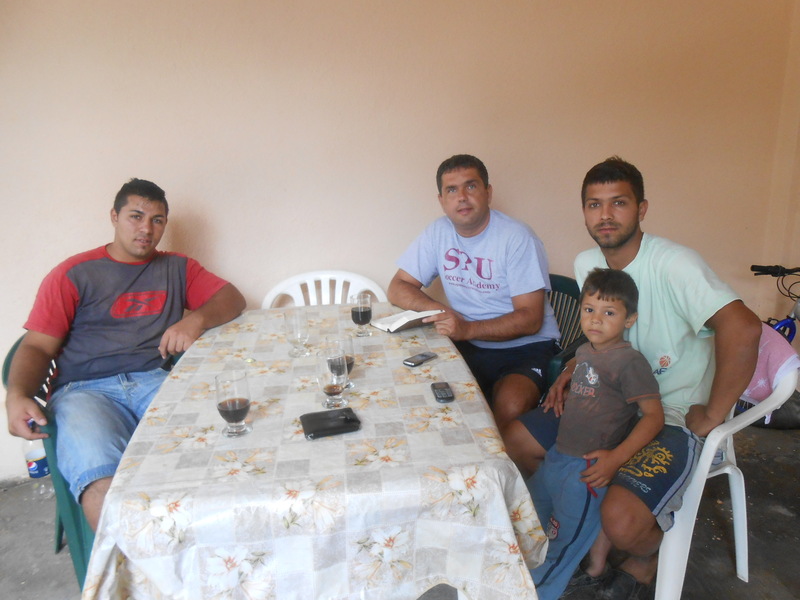 –Pray for Ferdi that God will touch his heart for Him and that I will meet new Muslim boys in Vasilevo. -Pray for Mejmet that God will work in his heart. -Pray that God will use me among the Muslim people. – from the Muslim people who are against the Gospel.